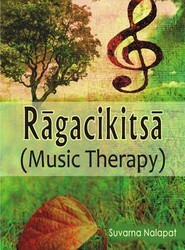 Deals with the various aspects of music therapy. Taking a close look at the Eastern and the Western perceptions of music therapy, this book also discusses at length the margi tradition of music and its origin in the Veda, as well as the origin of desi [local] tradition of India. Deals with the various aspects of music therapy. Taking a close at the Eastern and the Western perceptions of music therapy, this title discusses at length the margi tradition of music and its origin in the Veda, archetypal-historical living singer effects, and the origin of desi [local] tradition of India. 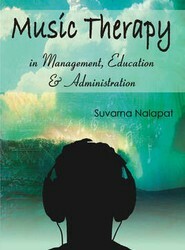 Deals with the application of music therapy in management, education and administration. Explaining how the Raga is used to remove ragadvesha [dualities], this book presents a detailed account of medical ethics, how to organize a research process, the concept of a medical university, as well as curriculum for music therapy.